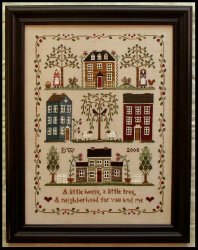 Little House Neighborhood SAL: Linda's First Update! Hey everyone! 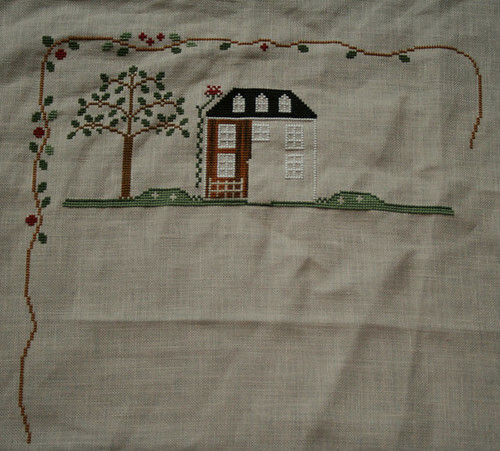 I have been super busy with my job, my family life etc so there hasn't been a whole lot of time left for stitching, but I did start Little House Neighborhood last Monday so I do have an update to share with you! I decided to change the DMC colors for the houses to Crescent Colors and have started the first house. It is being stitched with Bramble Bush. Sorry about the wrinkles in the fabric, I just never iron my pieces until they are done. Well, I am off to have dinner and stitch some more! The Bramble Bush looks fabulous on the house, Linda! Great progress! The colours are beautiful, congratulations on getting so much done. Hi Linda, very beautiful colours you have chosen indeed! Look forward to see the house built.